Which Comedy Movie Should You Watch Tonight Based On The Sitcoms You Like? Sitcoms have always been a vital part of the television world, providing some of the best easy-to-watch content. Usually, each episode of a sitcom is self-contained with a main plot and couple of subplots, so even casual viewers can enjoy the jokes without following the entire series. Still, there are a number of successful shows with large followings. Undeniably, Friends has achieved a cult status among sitcom lovers. The intertwined stories among six friends made for great television, especially the rollercoaster romance between Ross and Rachel. The Big Bang Theory is an ongoing show that follows a similar premise, but have main characters working in the world of Science. These shows followed young adults, but The Golden Girls took a different route, following older ladies in their time living together. In this quiz, you get to pick sitcoms that you love! Based on what you enjoy, we will recommend a hilarious movie for you to catch on movie night. Which sitcom is your favorite? I don't like these shows! Pick the sitcom that makes you laugh! Choose the sitcom with the best jokes! Decide on one sitcom you'd like to watch! Which sitcom can you watch over and over again? Pick the sitcom with the funniest characters! Can you choose a sitcom that leaves you in hysterics? Which sitcom makes you chuckle? Choose one sitcom you'd want to binge watch! Decide on a sitcom that makes you giggle the most! 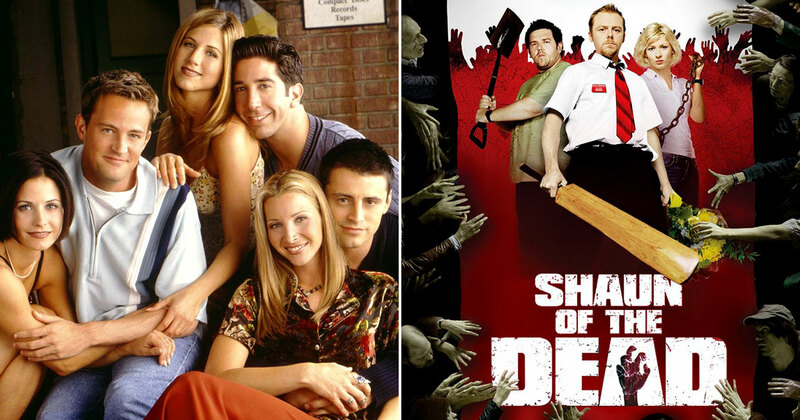 Which of these sitcoms can you rewatch multiple times? Choose the best sitcom from the following! Pick the sitcom that makes you the happiest! Which sitcom leaves you grinning? Finally, which of these shows is your favorite sitcom? Can You Identify The TV Show By An Episode Description?